There have been numerous defining moments in Dirt Bike history that changed things forever, and I consider myself fortunate to have seen 40 years of evolution in the technology since the Yamaha DT1, the first Japanese mass produced dirt bike, right up to the exceptional bikes we have today. If you’re in your 40’s or 50’s this is a trip down memory lane for a dirt bike rider. If you’re in your teens or twenties, this will give you an understanding of the advances in technology that paved the way for the modern era bikes. So let’s look back over forty years of magic moments and milestones that mattered in dirt bike history. 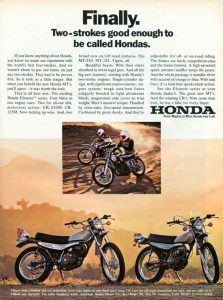 When you look back at Honda Dirt Bike history, they stood out as the only manufacturer of the big four who produced an all four-stroke range of dirt bikes. The XL and XR range were a huge success. 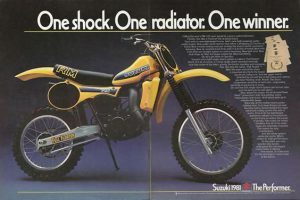 Yamaha, Suzuki and Kawasaki were all two-strokes, but slowly brought out their four-stroke range, first with the road bikes, then followed up with dirt bike models. 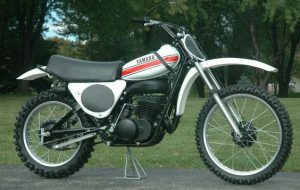 The Yamaha XT & TT500 were classic examples. 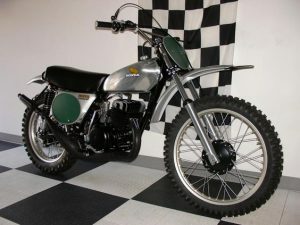 Honda went the other way with the introduction of a two-stroke motocross range, beginning in 1973 with the introduction of the CR125 and 250 Elsinore, which were a huge success. They followed up with a brief run of trail and enduro models, the MT125 and 250. The motocrossers were Honda’s only line to continue with two-stroke technology. Things have come full circle now with the release of the CRF450R four-stroke in 2002 and the CRF250R in 2004. The last Honda two-strokes were produced in 2008 with the CR125, CR250 and the CR85. Long travel suspension has revolutionized the dirt bike world, allowing riders to make much larger jumps and absorb the harder hits. Maico made a major change to its motocross range during the 1974 season. The US and the European works motocross teams had modified the rear suspension by moving the top and bottom shock mounts forward, thus increasing the rear wheel travel. The front fork travel then had to be increased to match the rear. They did this by using a leading front axle with underhang on the fork legs. The modification was so successful that the race was now on for all the other manufacturers to catch up. Many variations were tried with the rear shocks being moved forward in a similar fashion, or to lay the shocks down by moving the top mount only forward, which avoided making any swingarm modifications. While all the factories were sticking with the twin-shock setup, in 1975 Yamaha developed the ‘Monoshock’ system on their YZ250 which incorporated a centrally mounted shock running in line with the frame backbone. The ‘Monoshock’ system offered 7″ travel front and rear. They used this system right up to 2005, then changing to the linkage system like the other brands. In 1981 Suzuki one-upped Yamaha with the ‘Full Floater’ single-shock rear suspension system introduced on the RM125. 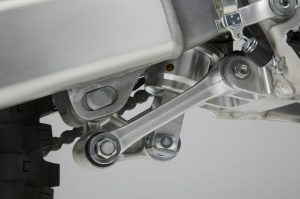 The system used a floating linkage on the top and bottom mounting, with a set of pull rods connecting the system to the swingarm. It proved to be popular in the early 80s, but it’s complexity led to its downfall and Suzuki dumped it 5 years later. Many believe the Full Floater system led the way to today’s modern linkage suspension systems. 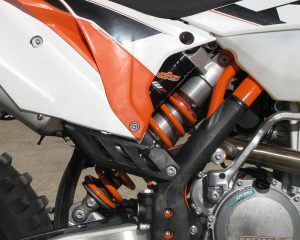 KTM is the exception with their PDS system, a single offset shock mounted directly to the swingarm. Without the development of long travel suspension, we wouldn’t see the supercross tracks we have today with the huge jumps or the freestyle stunts that a now being performed. If you rode enduros in the ’70s you either had to spend a lot of money on a European bike, or you had to do some serious modifications to a Japanese trail bike. Many things had to be removed completely, like the huge headlight and tail light, the blinkers, rubber footpegs and metal mudguards. Engines needed to be modified, and exhaust pipes replaced by performance pipes. When long travel suspension was finding its way into the dirt bike scene, modifications had to be made there also, like laying down the rear shocks. The easiest way sometimes was to fit a trail bike engine into a motocross frame. In 1976 it all changed with the release of the Yamaha IT400. 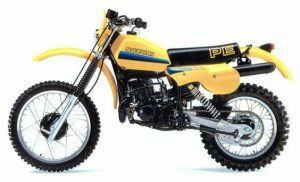 Suzuki soon followed with the introduction of the PE175 and PE250. 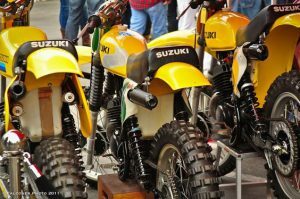 They were street legal versions of the now successful RM motocrossers. Initially, they were more expensive than the trail bike models, but were still cheaper than the European bikes, and usually more reliable. The difference in performance and price has now closed between the Japanese and European models, and these days there is little to separate them. 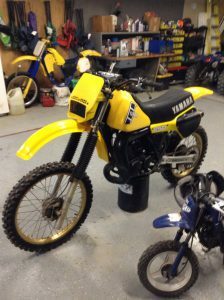 Yamaha was the first to bring the concept of air forks to the motocross market with the YZ125X in 1976. It incorporated a large canister on the top of each fork leg. Both the fork and the chamber contained air, but at different pressures with a bladder in between. The problem was that air changes pressure as it heats up and cools down. This made adjustment difficult. The use of Nitrogen helped but it was not enough. It was not hugely successful and by the D model next year they had returned to the conventional spring setup. 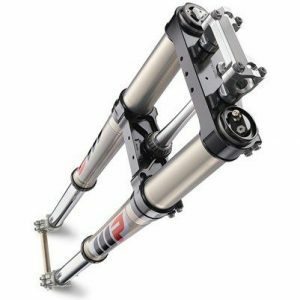 With the improved technology of today like the Showa Separate Function Fork (SFF) which has the damping in one leg and Triple Air Chambers (TAC) in the other leg, it looks like the good idea of the ’70s has finally come to a workable solution. Several factories, including KTM and Husqvarna, are now introducing them in their new models. Water cooling is not a new idea. Many after-market conversions were available in the late ’70s. It was simply a liquid cooled head with a small radiator. There was no pump as it relied on the siphoning effect of hot water rising, and was not much of a success. 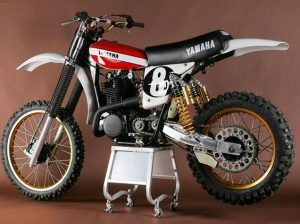 Yamaha was the first manufacturer to release a water-cooled bike to the motocross market in 1981 with the YZ125H and YZ250H. The radiator was incorporated with the front number plate, with the water running through the steering head. The advantage is that the power stays consistent during a race because of the regulated engine temperature. 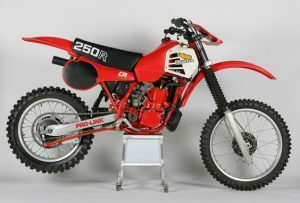 Honda produced their first water-cooled motocrosser in 1981 with the CR250R. 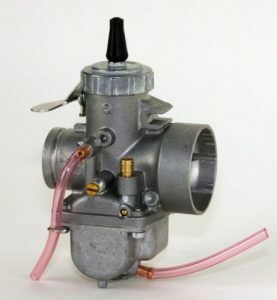 Anyone who has spent time playing with jetting to try to get the best out of a carby would agree that the introduction of Fuel Injection to dirt bikes is a good thing. Spanish manufacturer Gas Gas introduced one of the first fuel injected dirt bikes in 2008, then Kawasaki was the first Japanese manufacturer to introduce it to the motocross market on their KX450F. 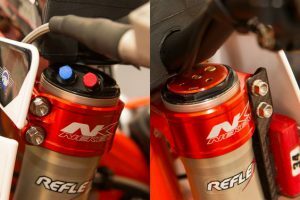 Fuel injection had been used on road bikes for a few years, but it took a while to develop a system with a battery light enough for dirt bikes. 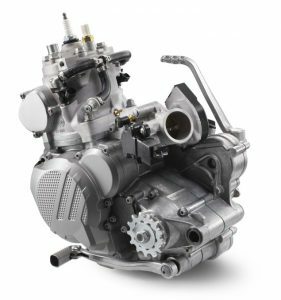 Fuel injection has until now been the domain of four-strokes, but we are now seeing it used on two-strokes, with KTM and Husqvarna introducing two enduro bikes with Transfer Port Injection (TPI) on their single-cylinder two-strokes. 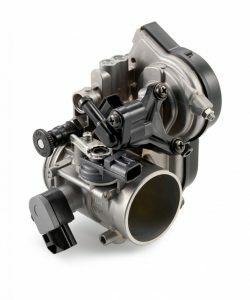 New technology could be the savior of two-stroke motorcycles as emission standards become more restrictive with each passing year. 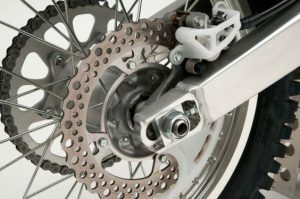 If you’ve been riding long enough to have ridden with drum brakes, you will agree that disc brakes are a huge improvement on a dirt bike. Drum brakes heat up very quickly, cool down slowly, and when wet and muddy lose almost all effectiveness. The disc brake being open to the air is easier to cool down and does not lose effectiveness in the wet conditions. 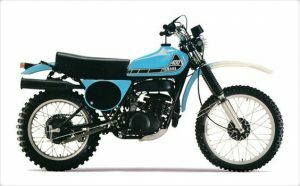 Kawasaki was the first manufacturer to bring the disc brake to the mainstream dirt bike market with the KX125 and KX250, but a small English manufacturer named Cotton brought a cable operated front disc brake model out in the ’70s. Disc brakes didn’t start being seen on the rear until a few years later as it was thought that drums were sufficient due to a heavy reliance on the front brake. It is thought that the introduction of Supercross forced the change with the different riding styles now requiring heavier usage of the rear brake. USD forks are not a new idea. They have been around a fair while. Brad Lackey won the 1982 World 500cc Motocross Championship on a Suzuki fitted with a 50mm USD fork. It wasn’t a Suzuki fork though, it was an aftermarket fork manufactured by Simons, who developed the concept. In 1985 KTM introduced a 125cc motocrosser fitted with a USD fork. The big four Japanese factories followed suit four years later. Just like disc brakes and water cooling, it looks like USD forks are a development that is here to stay. 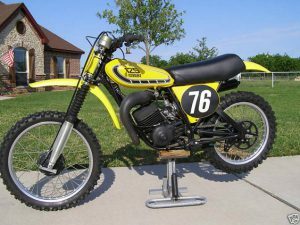 In the beginning when motocross, or scrambles as it was then known, first got started a four-stroke was the only choice you had. It was usually a British bike at that. The world 500cc Championship field was entirely made up of four-stroke machines from its introduction in 1952 right up till 1966 when a CZ won the title. From then on it became the domain of the two-stroke right up till 1995 when Joel Smets won the World title on a four-stroke Husaberg. By 1997 Doug Henry riding a Yamaha YZM400F had won the Las Vegas AMA Supercross, which was the first time a four-stroke machine had won an AMA event. 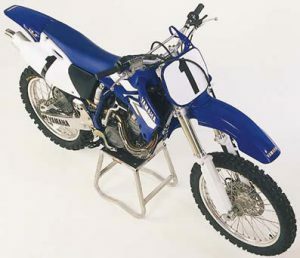 The YZ400F became available to the public in 1998, and it will go down in Yamaha Dirt Bike history as the bike which marked the return of the thumper to mainstream motocross. By 2000 the YZ400F had become a 426cc and by 2003 it went to 450cc. The other Japanese manufacturers followed suit with Suzuki introducing a four-stroke RM-Z250 in 2004 and then following up with the RM-Z450 in 2005. Did you ever own a Honda thumper? Maybe you preferred the Yamaha four-strokes, or were two-strokes your thing? What was your favorite bike? If there is something you think deserves a mention here, please leave a comment in the box below and I will reply to you. Hi Greg, I really liked reading about the history of dirt bikes. I learned a few things about what bike companies had the advancements that we don’t even think about anymore. 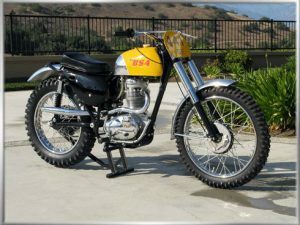 I had seen the picture of the maico 490, it reminded me of the first bike I had, it was a maico 440, not as big but still a really tough first bike to have. Thanks for your thoughts. 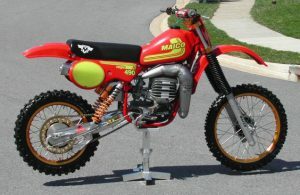 The Maico was a fantastic bike, good even by today’s standards. It makes me think what it would be like if you had a bike from today 30 years ago, you’d clean up in motocross. We take it all for granted now, don’t we. So many fantastic bikes available now, stock standard. Glad you enjoyed reading a bit of the history.